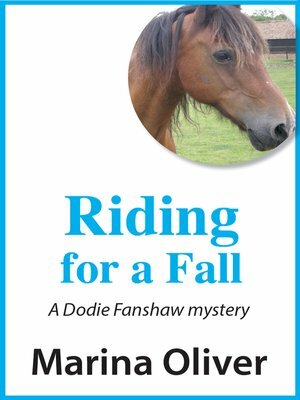 Dodie and her daughter Elena go to stay with Christine, a friend who once danced in the chorus with Dodie, who now runs a riding school at her nephew&apos;s manor house. The owner, Robert, whose parents were killed in a car accident, is on holiday with friends, and his young brother John unhappy to be with Robert&apos;s uncle and Trustee, Michael, his aunt Diane, and four cousins. Mike is busy working to raise cash for a university course in America. Laura is passionate about horses and wants to take over from Christine when she retires. The other two, Brandon and Claire are older, and constantly belittle John. He, bored, gains a reputation for snooping. and Dodie hears him threatening to reveal some secret. Elena is organising the wedding of Rebecca Wilmott, who lives nearby at Norman&apos;s Acre. In both families there are odd tensions. Rebecca is nervous, taunted by her half sister Sarah who lives alone in a small cottage on her father&apos;s estate. Then John, responding to a dare, dies in a riding accident involving Diane&apos;s horse. Elena and Dodie discover that this was contrived, but was John the intended victim, or Diane? Was it a prank gone wrong, or deliberate murder? Or was it intended to discredit Christine and force her to close the stables, something Michael and Diane long to have happen? Many people had the opportunity, some had obvious motives, and Dodie is determined to discover the truth.